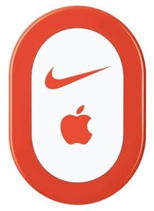 When Nike teamed with Apple several years ago for a fitness device that measures and records your pace and distance while running, it changed the workout world. Called Nike+, the small sensor could fit in your shoe, and sync with an iPod or iPhone to track your jogging data. It retailed for $29. Adidas has been running a distant second ever since, but is beginning to catch up with a a free miCoach app being introduced today. 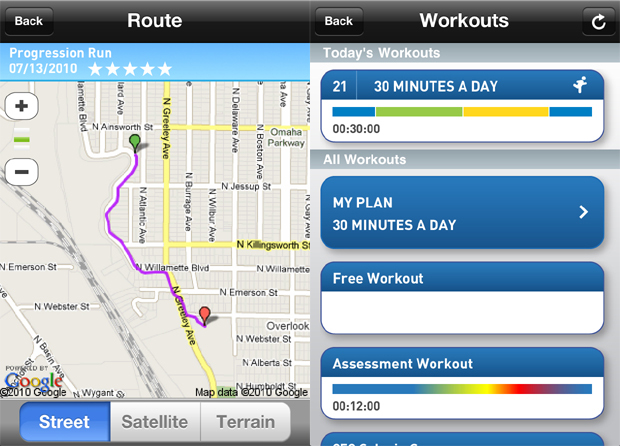 could fit in your shoe, and sync with an iPod or iPhone to track your jogging data. It retailed for $29. 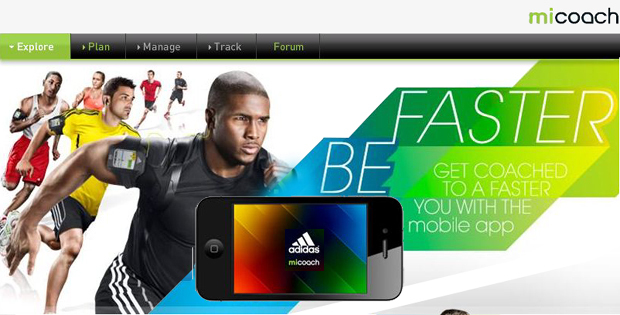 Adidas has been running a distant second ever since, but is beginning to catch up with a a free miCoach app being introduced today. In January, the German-based sports company premiered its $140 miCoach Pacer, an iPod-connected pedometer, heart rate monitor, calorie counter, and real-time coaching device. Now Adidas is foregoing hardware for software, tracking for coaching, and giving it away the new technology in the iTunes and BlackBerry stores for free starting today. player, miCoach might suggest a conditioning of quick speed-boosts to strengthen your agility on the court. runners to see if a particular pair of sneakers helped one perform better. 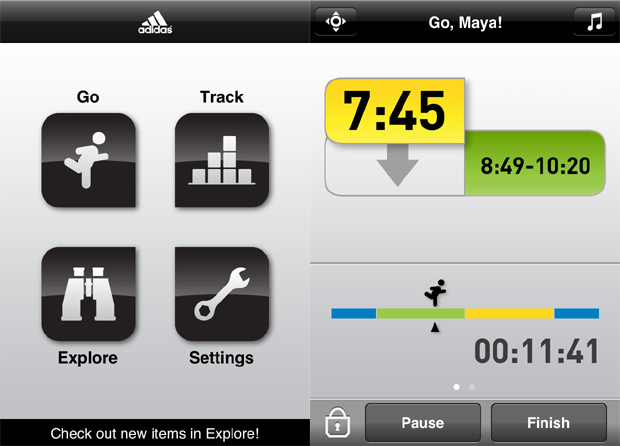 With the free price tag and professionally designed sports training, Adidas’ miCoach app is well worth a try. And Nike better keep an eye out; otherwise, the company might need some personal training of its own to catch up in the mobile app market.